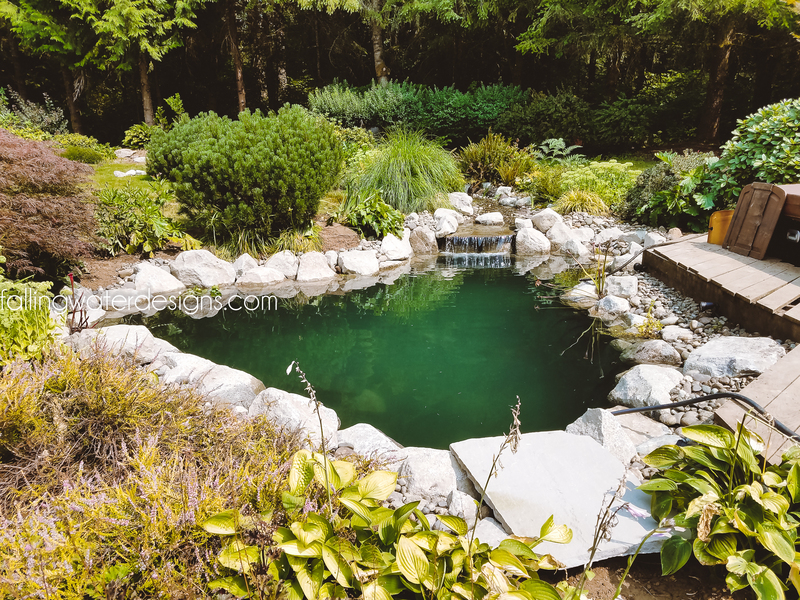 This client had an existing water feature that was built exactly how you shouldn’t build one. Shallow, completely rocked on the bottom and sides and with shelves that allowed the predators to wade in and eat their fish. We demolished the existing pond, dug it down to four feet with perfectly straight sides and only a single ring of large boulders around the edge. They also upgraded their equipment to all the right pieces to keep large Koi healthy. Now they have a proper Koi pond full of beautiful fish!